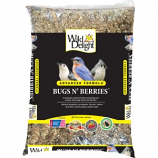 Home :: Manufacturers / Brands :: D&D Commodities Ltd.
A premium wild bird food containing a unique three-bug blend and berries. 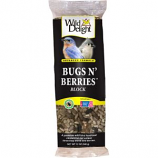 Attracts bluebirds grasbeaks finches titmice and other insect eating outdoor pets. . . .
A premium wild bird food containing a unique three-bug blend and berries. . . . .
• Use With Hopper Feeders, Tube Feeders (With Large Holes) Or Platform Feeders.